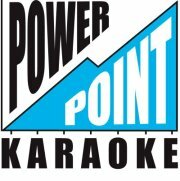 Home Life Friday, April 1: PowerPoint Karaoke, plus bonus trivia! On Friday, April 1st (honest! ), PowerPoint Karaoke will be back at Fantasy Flight Games, and this time, our opener will be trivia hosted by Andrea Wilkins! That’s right, gird your pedantic loins and bring your best game, factoid nerds!